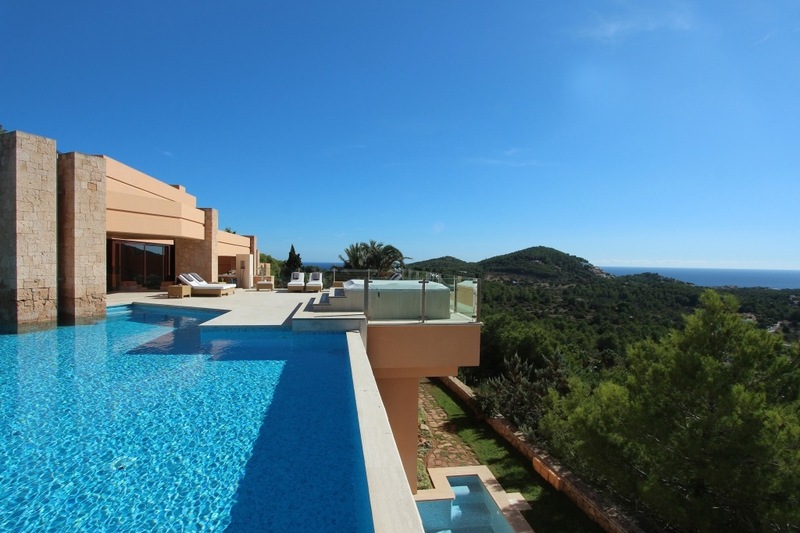 Enjoy an indulgent retreat to Villa Bella, a gorgeous contemporary luxury villa in Ibiza. 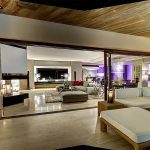 Boasting uncompromising luxury and sweeping panoramic views of the sea, Villa Bella is a true delight. 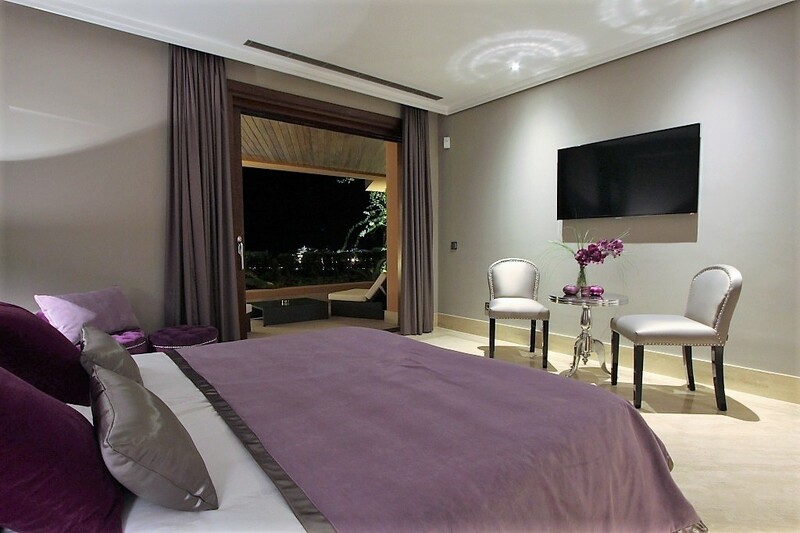 With a total of six bedrooms, up to twelve guests can comfortably sleep within this villa. 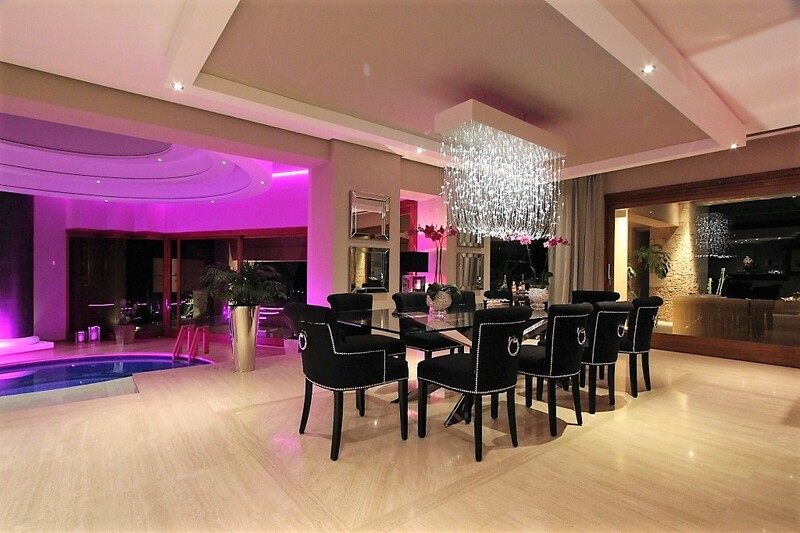 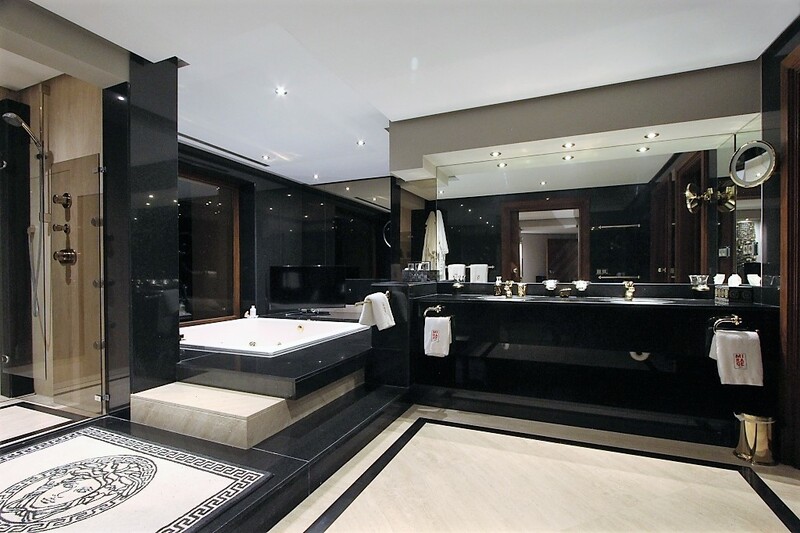 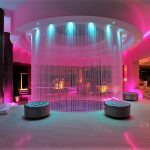 This spectacular luxury villa is sure to dazzle from the first moment you lay eyes on its contemporary design. 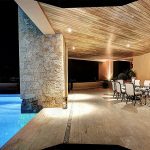 Architecturally designed, the ochre finish and straight lines create a striking villa which blends beautifully with its rural surroundings. 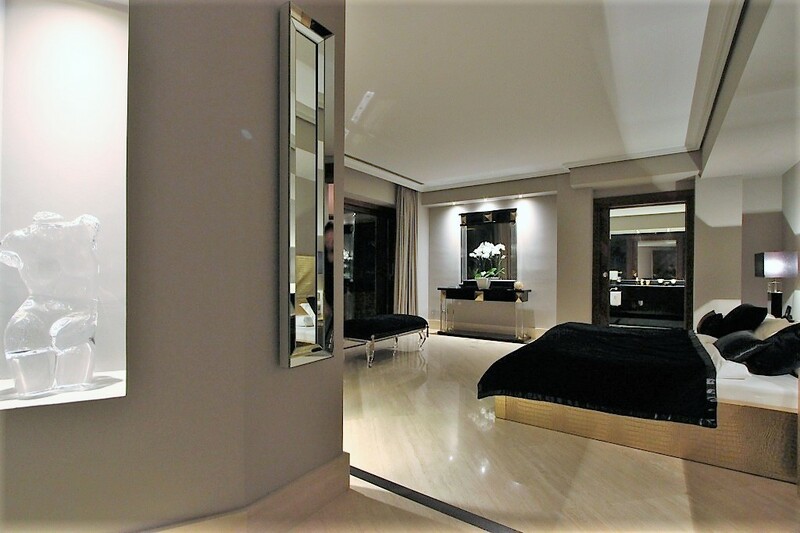 The attention to detail continues as you step inside. 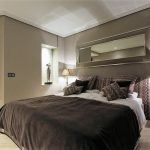 With light tones complemented by stunning handpicked artworks, the villa is luxurious and modern. 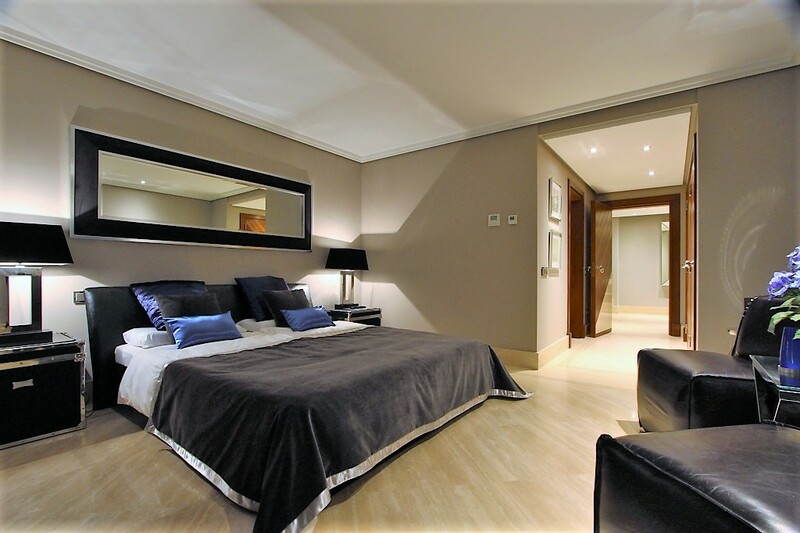 Every detail has been carefully considered and completed to the highest possible standard. 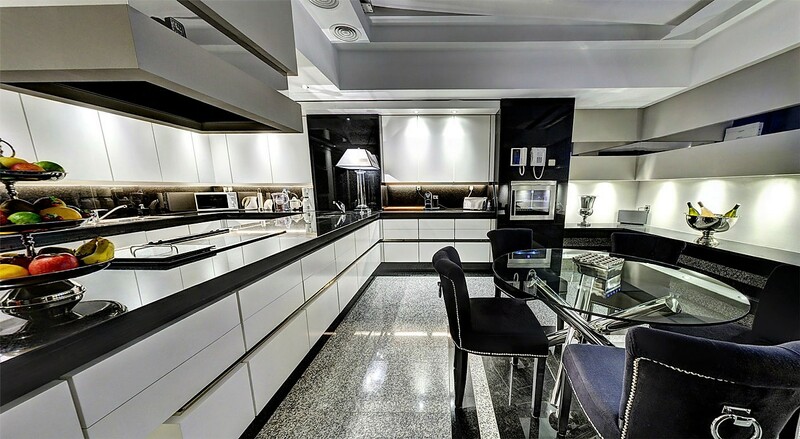 The interior features numerous spaces that are ideal for spending time relaxing, or perhaps entertaining a larger group. 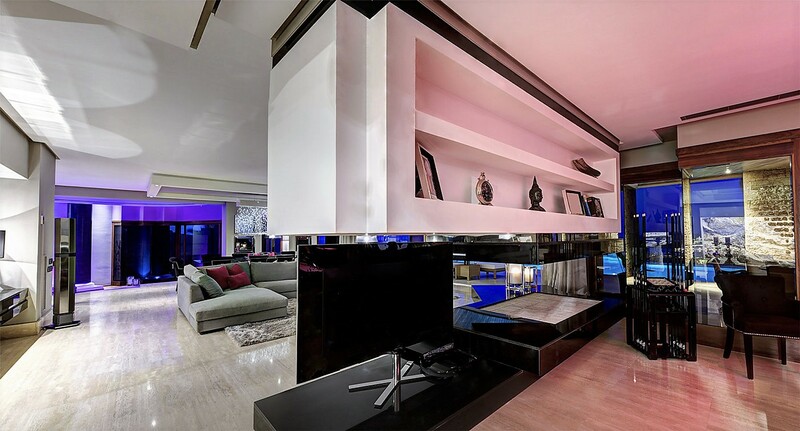 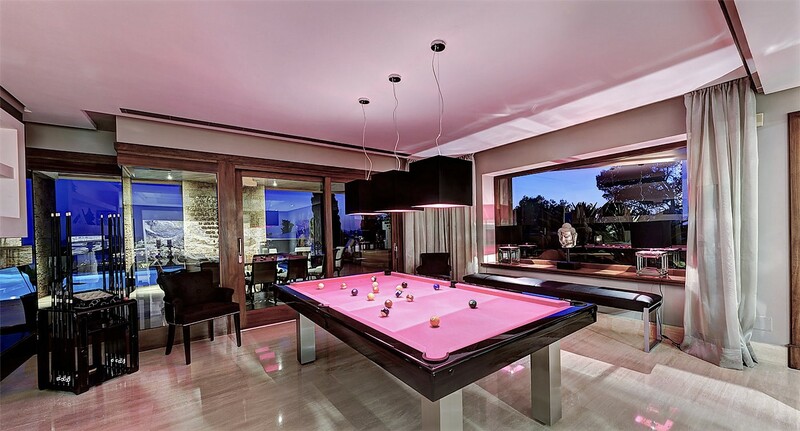 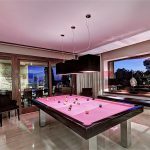 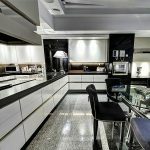 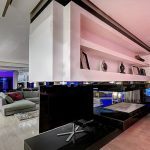 There is an emphasis on technology and entertainment, with flat screen televisions and a Sonos music system throughout, as well as a billiards table, poker table and cocktail bar. 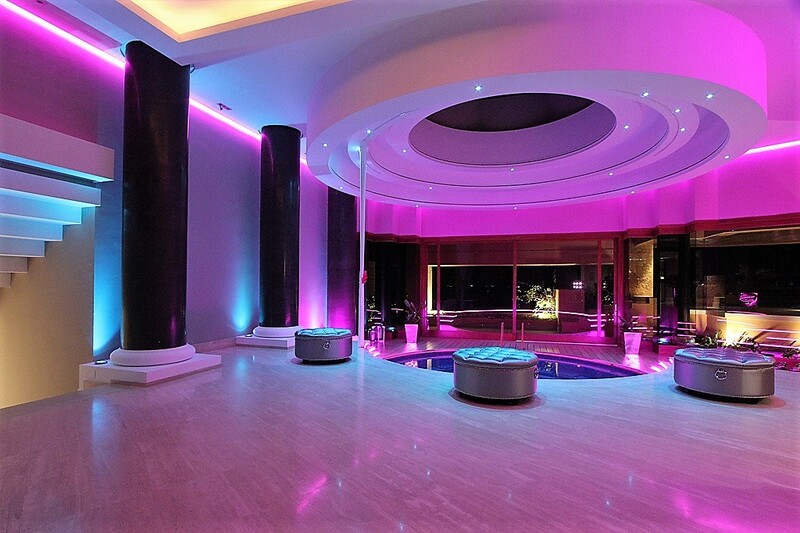 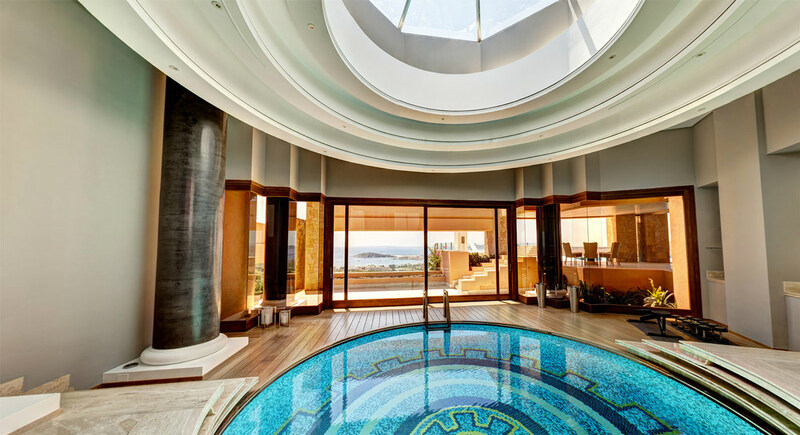 Another particular highlight is the round indoor pool near the expansive dining area; sure to be a delight entertainers and their guests. 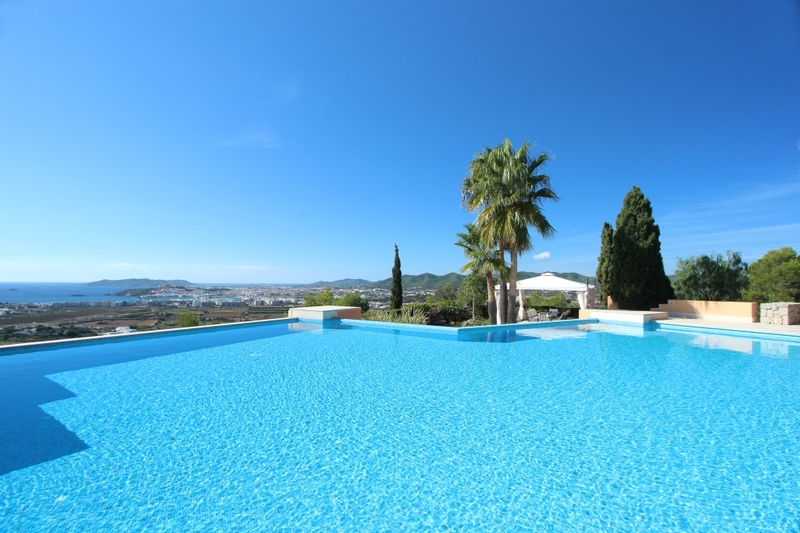 Outside, two further heated pools are equally dazzling and tempting. 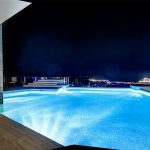 Simply step out of the living room and find yourself on the expansive pool deck, admiring the glimmering pool and the sweeping sea views. 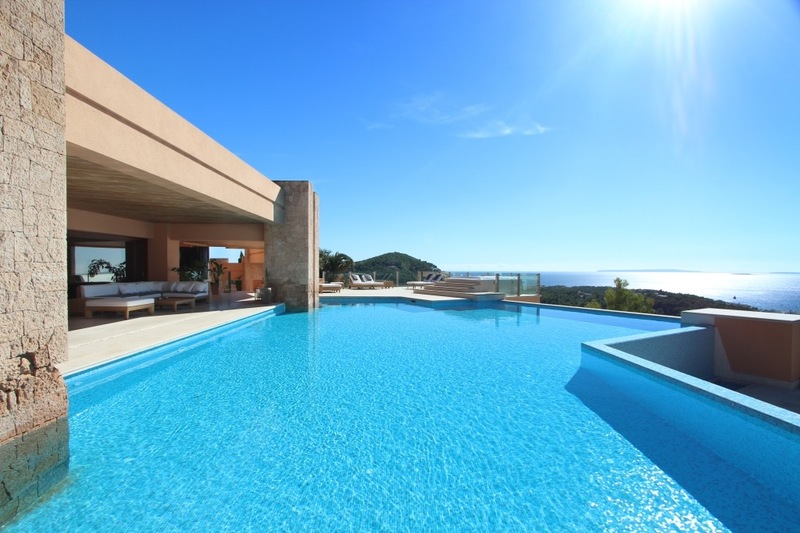 Several alfresco dining areas are ideal for enjoying a delicious meal – perhaps a barbecue – and soaking in the exquisite views. 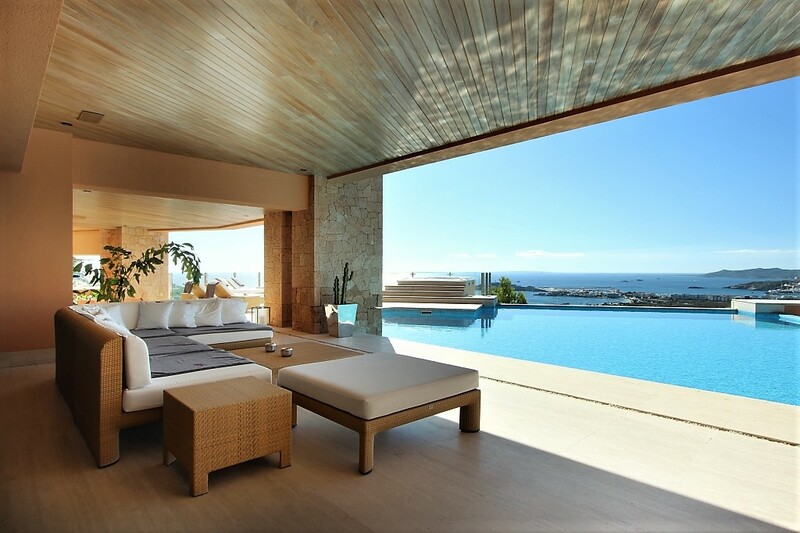 A second pool is upstairs and also overlooks the sea. 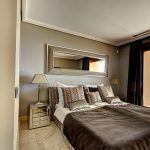 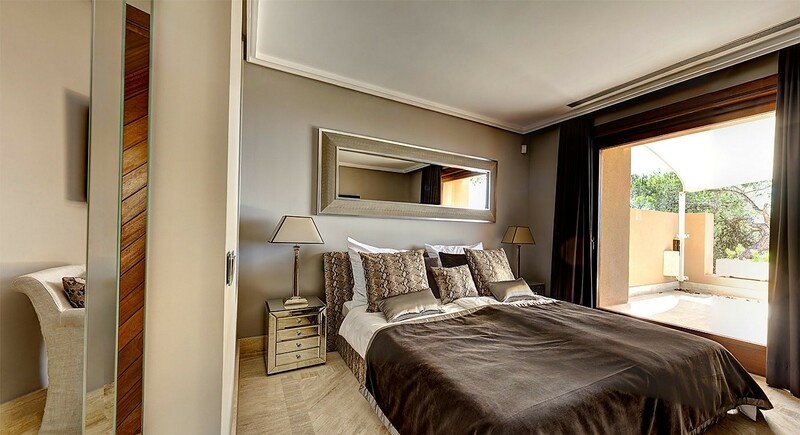 After a day of enjoying the many delights that this stunning Ibiza luxury villa offers, retreat back to the stunning bedrooms for a restful night. 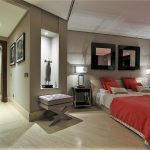 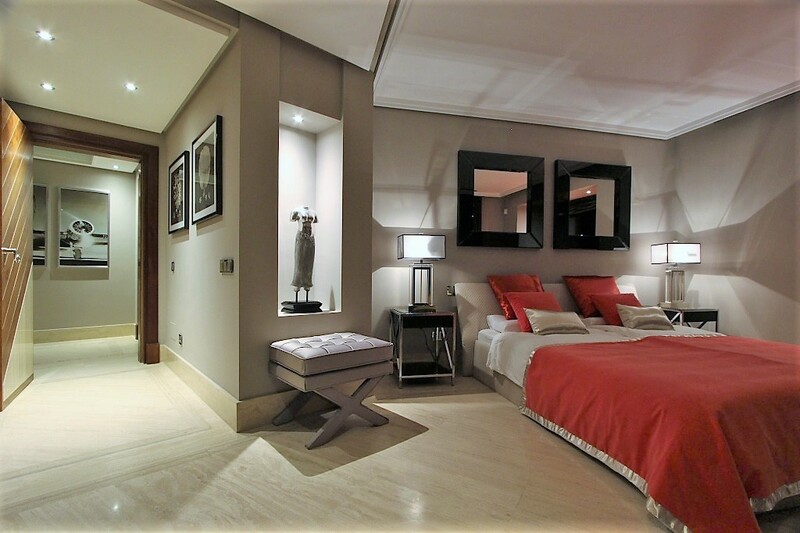 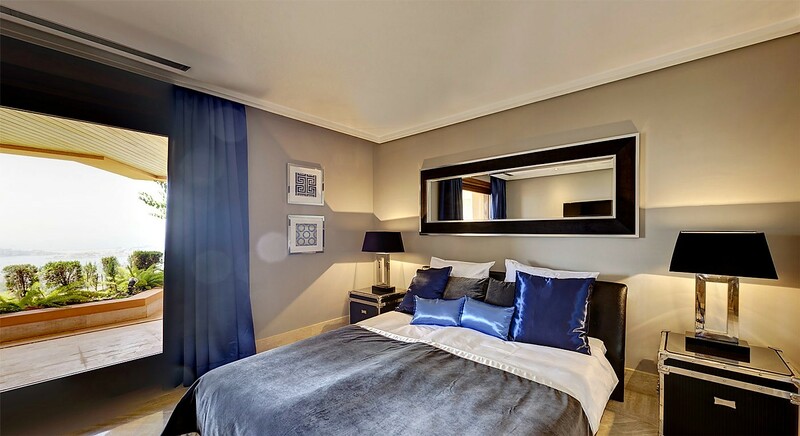 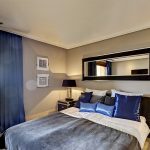 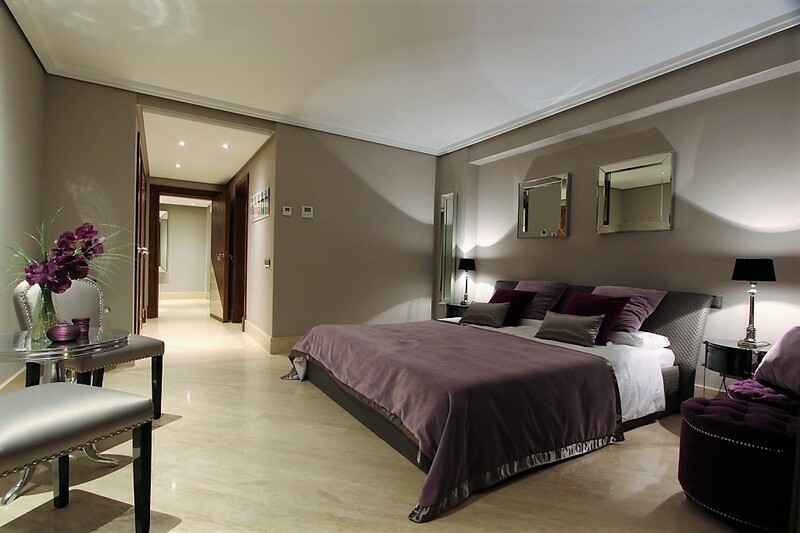 Each bedroom enjoys luxury furnishings and its own ensuite, while the Master Bedroom is particularly palatial and enjoys its own private terrace. 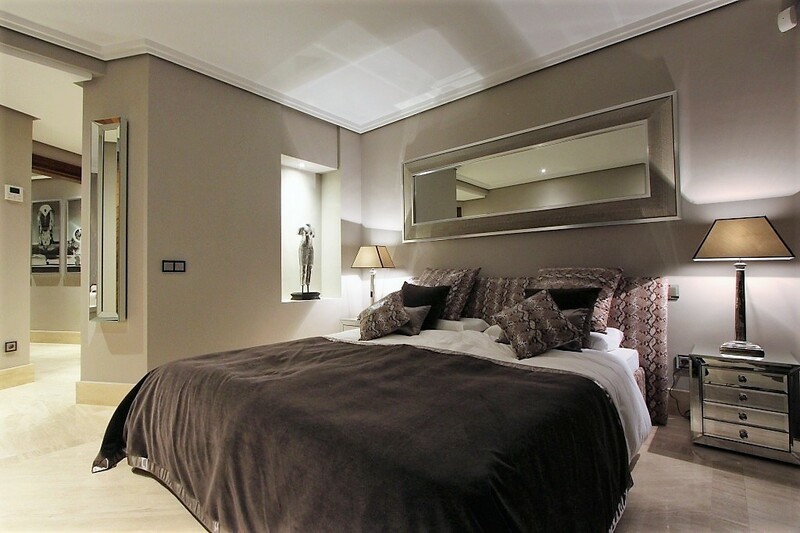 Five of the bedrooms are located within the house, while the sixth is self-contained in the grounds. 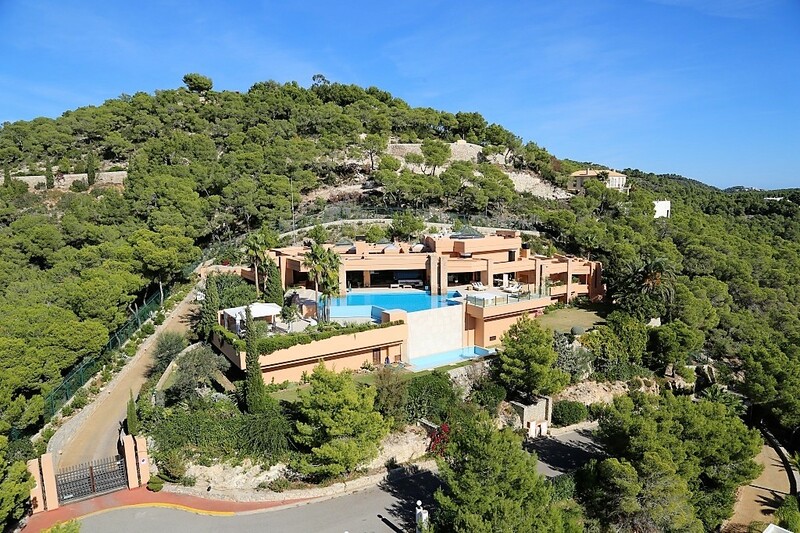 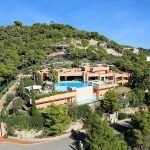 The villa enjoys an address within Ibiza’s most sought after area, enjoying seclusion and privacy as well as easy access to the island’s premier amenities. 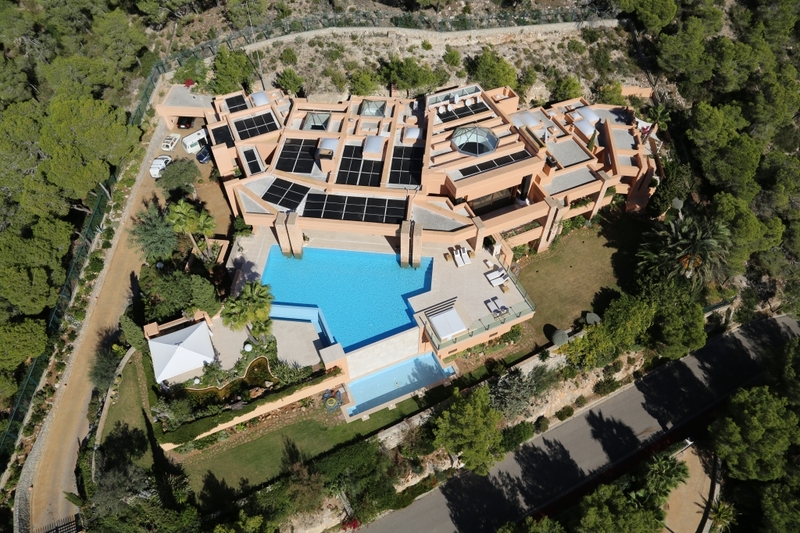 For your peace of mind, security is at the forefront at Villa Bella – the property has 24/7 security guards and a state-of-the-art security system.